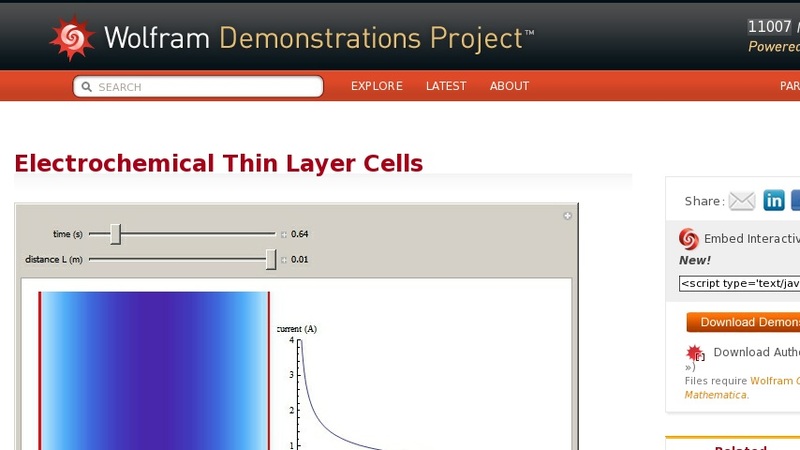 Thin layer cells are widely used in electrochemistry. The two flat working electrodes (red plates in the left figure) are separated by a thin space of width ... . This Demonstration shows the configuration (on the left) and chronoamperometric measurement (on the right) for such a thin layer cell.